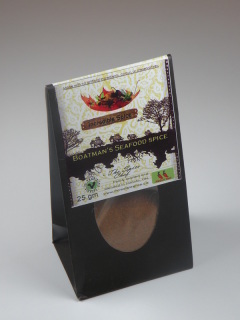 Boatman's Seafood Spice is a unique creation by the Spice Chef, A blend of spices which will bring back the memories of the houseboat in the backwaters of Kerala, India. Boatman's spice is a marination, it will compliment your seafood, fish, chicken and even your vegetables. 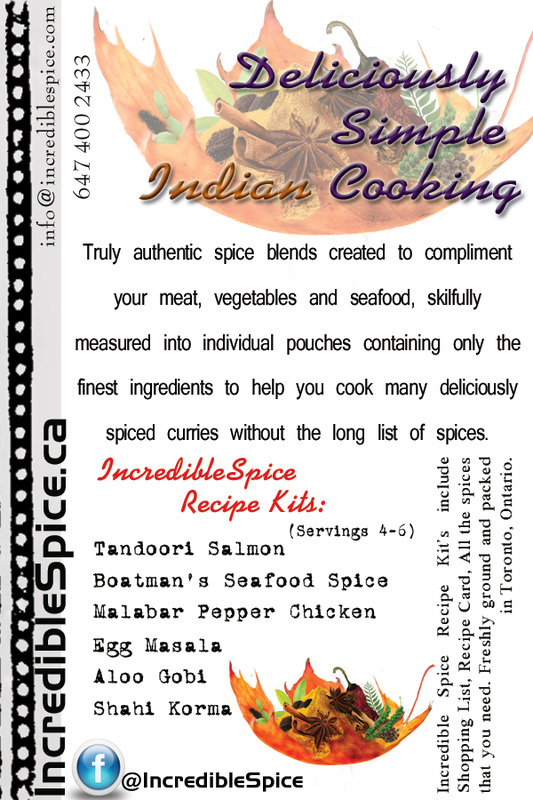 Each recipe kit comes with a shopping list and a recipe card. 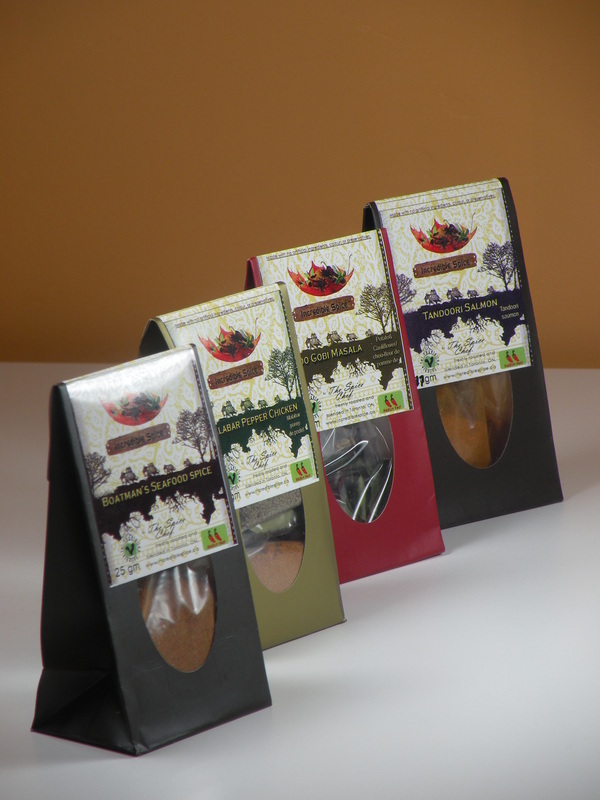 A universal spice blend get creative and share us your creation with the fresh ingredients. 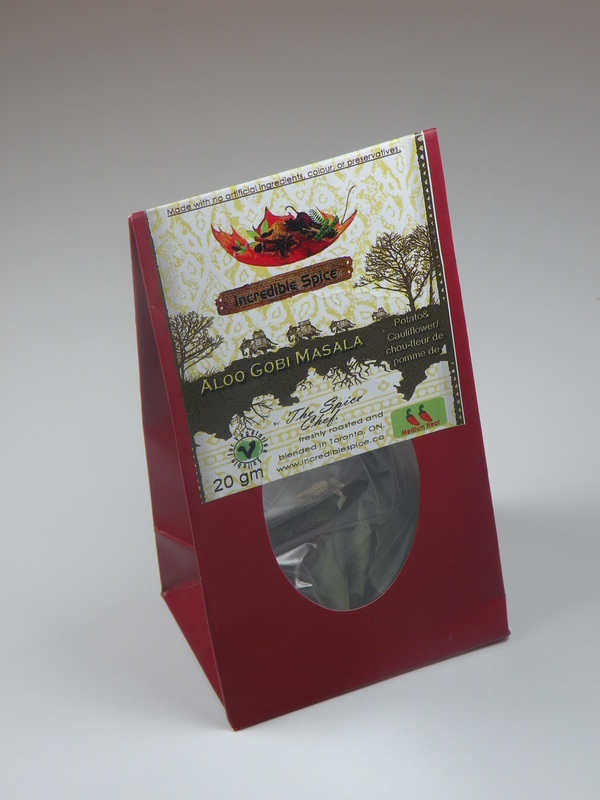 Aloo Gobi Masala a wonderful and simple blend of spice which will make a delicious potato and cauliflower dish in no time. 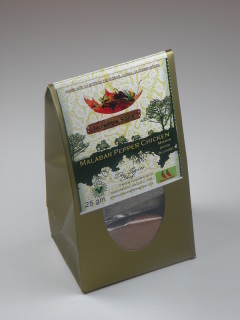 This recipe kit has two pouches inside the whole spices and the ground spices , pre-measured for you convenience. Tandoori Salmon Spice Chef has created a special blend for you to make tandoori dishes in ease with no MSG or colour. just marinate it with your fish, seafood, chicken or veg. and creat a tandoori dish with no fear. 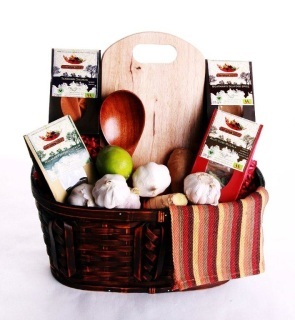 Best Gift you can give to you loved ones. Includes; 1x cutting board, 4x freshly made Incredible Spices recipe Kits, 1x Tea Towel, 1x onion, 1x lime, 1x ginger, 3x garlic, 1 basket. Check out our Exotic spices.